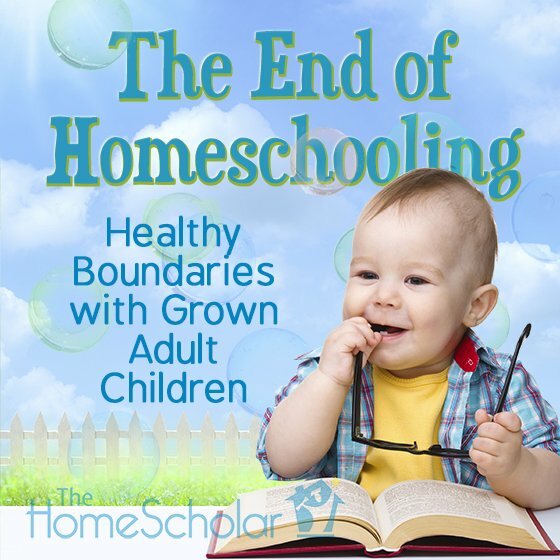 The End of Homeschooling: When Did My Baby Grow Up? Homeschoolers seem to have one thing in common – they love their children. They love having children, they love being around their children, and they love having their children live at home. 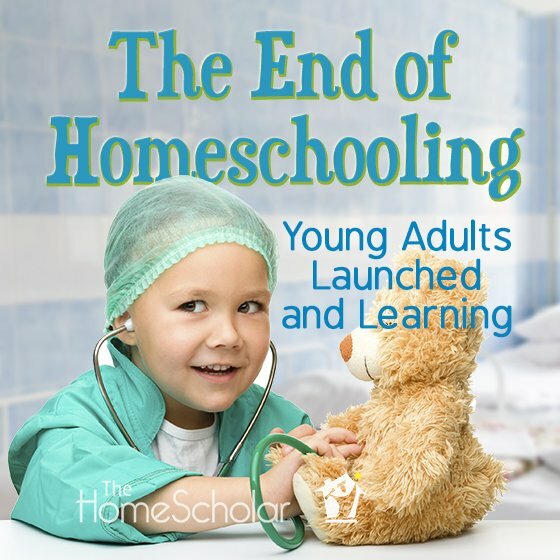 When the end of homeschooling comes around, the biggest questions parents have is, “When did my baby grow up?” Of course, homeschool children are not always perfectly behaved, and life is not always blissful. I’ve been a homeschool parent, so I know this isn’t true! We’re all a little sad when it comes time to let the kids go. But like baby birds that fly the nest, when it’s time, it’s time. 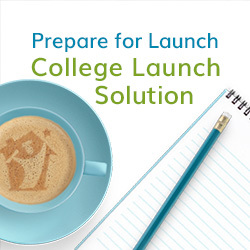 If college and career is in your student’s future, check out my College Launch Solution here. Learn everything you need to become your child’s best college coach, and save thousands over hiring a private coach. Letting go is a season of life not without challenges. I can help you to understand the process, so you are prepared for what lies ahead. 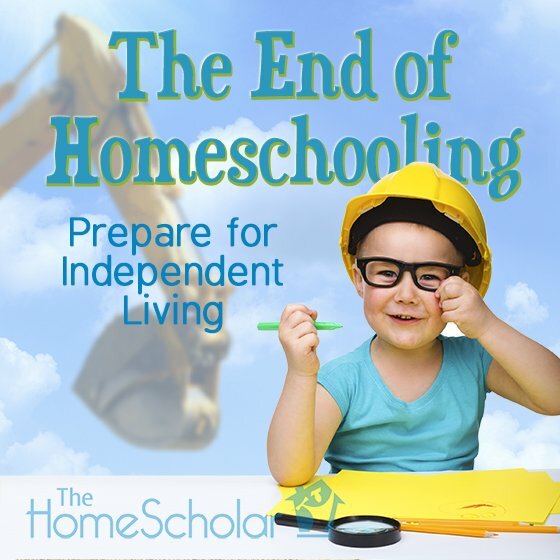 While homeschooling, you can ready your child for independent living and make plans for your empty nest. However, you also need to understand what happens when your child is almost an adult but still learning the ropes of independence. You see, the consequences of ignoring the inevitable can cause “Failure to Launch,” also called “The Couch Potato Phenomenon.” Once your child is grown, you need to learn to set boundaries, so they can thrive and become independent –like you and I became independent from our parents. Homeschooling can be a huge advantage to launch your teen successfully in this upcoming stage of life. When you take your child to college, it’s only one step on the path to independence. Other steps follow. • The first summer they live away from home. • The first post-college apartment. • The first holiday away from home. Saying goodbye at college is as important as the other goodbyes. Each step has its own emotions, ranging from tears to relief. Homeschool parents assume four primary roles throughout their children’s lives: caretaker, teacher, mentor, and friend. The last season of homeschooling - which promises to last the longest - is the season of friendship. Finally, you and your kids are equals. You may find yourself learning as much (or more) from them as they do from you. When the kids are grown and gone, take a deep breath and relax. You have a wonderful, life-long friendship to look forward to. The key to enjoying this friendship is up to you. You need to stop homeschooling this child. Provide guidance and counsel when asked, but hold back on unsolicited advice. Enjoy their friendship. You deserve it. Someday your child will live on their own. They will sink or swim based on the skills you have given them, their adult choices, and their ability to adapt as an adult. This basic checklist of independent living skills will help you identify what may need work. They will leave home with these skills or without them, so try to cover them throughout the four years of high school, so they can survive and thrive! The ability to combine academics with character education, and bring truly well-rounded and grounded young people into the world is one of the joys of homeschooling. To do this, you need to be conscientiously preparing your teen to live independently. They need life skills, such as cooking and cleaning, training and information on finances, employment, and safety. Your child needs to understand how to function socially in groups, while being safe in their mode of transportation. They need to be able to monitor their own education, become successful in college, and graduate with a great GPA so they get a good job. None of this happens without some training. Like all the other subjects you teach your child, these independent living skills must be taught or discussed first, so the teen understands the concepts and what is expected. Each skill should be demonstrated by the parent or another mentor before it is practiced by the teen. It can take quite a bit of practice before independent living skills are perfected. When setting your child off into the world, there are three keys to the transition. 1. Keep your five year plan in mind. In five years, you want to have a happy, healthy, and close extended family. When conflict occurs during college, keep this five year plan in mind. 2. Step in only when your child is being life-threateningly or life-alteringly stupid. They will make poor choices, but they can learn from them like you and I do every day. The only time you need to step in is when they are being dangerously dumb. Believe me . . . it happens. Not often, but it happens. I wish the promise was immediate and children who have been brought up in the “fear and admonition of the Lord” would never stray from the path. But you and I know this isn’t true. Grown children make bad choices. Jesus hand-picked Judas as his disciple, and even being with Jesus daily for three years didn’t prevent him from falling away. Sometimes teens make an absolutely confounding string of bad choices. At this point, however, you need to remember one important fact . . . your child is now an adult. Adults get to make their own bad choices, as we did so long ago. When children are unprepared for adulthood, and don’t want to leave home, failure is a possibility. Often called “couch potatoes,” some young people live at home, skating through life without responsibilities, lacking the tools to transition to adulthood. Instead, they choose the path of least resistance, floating down the river of life without making their own way, like a pinball bouncing around as their parents intervene. They may be coddled by parents who are trying to help, but are instead causing harm. If you miss the window of opportunity, the launch sequence can become thwarted. Like teaching your child to read when they are ready, you also need to launch them when they are ready. And like learning to read, eventually you’ll need to provide detailed instruction if they don’t begin to catch on. To thrive, adults need to experience both independence and responsibility. When we remove these two keys, we are causing our children to grow into couch potatoes. Set clear expectations about how long your child may live at home. You might explain that they can receive support and live at home if they have a full time job or attend college full time. Explain how long you will extend this offer, and when they will be expected to move out after they begin a career. With clear expectations that they will receive no spending money, phone privileges, or gas for the car, they may become more motivated to make a positive life choice. You may even want to charge rent after a certain point. Often called “Velcro Parents” or “Helicopter Parents,” well-meaning moms and dads can stand in the way of progress, preventing their children from growing up. Avoid enabling their bad behavior by allowing them to experience negative consequences for their choices. Resist being codependent or overly clingy. Your need to be needed can be an albatross around your child’s neck, preventing them from achieving success. Setting Boundaries with Your Adult Children: Six Steps to Hope and Healing for Struggling Parents by Allison Bottke. This book is geared primarily toward parents dealing with delinquent behavior: drugs, alcohol, and felonious behaviors. When Our Grown Kids Disappoint Us: Letting Go of Their Problems, Loving Them Anyway, and Getting on with Our Lives by Jane Adams, who provides warmth, empathy, and perspective. The Power of Praying for Your Adult Children by Stormie Omartian will provide motivation and encouragement to pray daily for your children. Parenting Today's Teens with Mark Gregston of Heartlight Ministries is a website that provides training, podcasts, and resources for struggling families of teenagers. Bad things can happen to good parents. If you need help dealing with complex issues from alcoholism, to cutting, to anorexia, reach out for professional help. When your child launches, there is something big happening back in their childhood home. Parents are left behind. The nest is empty. The children are gone, and the adjustment has begun. But what about you? The homeschool parent still at home? 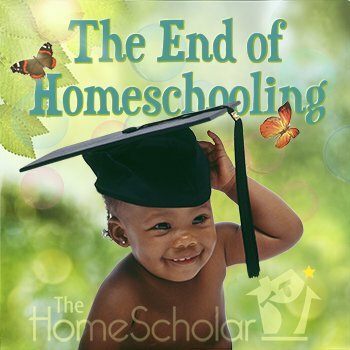 Toward the end of homeschooling, you start to wonder about the next stage of life. What will you do when you aren’t homeschooling? I can suggest what not to do. I heard a woman at the store talking about how bored she was with her life. She had attended four Weight Watchers meetings during the week, not because she was overweight, but because she was bored! Although I’m a big fan of Weight Watchers, I wondered, “Is this all there is to life?” The empty nest is not an end. It’s a change - a beginning. There are certain key things you can do to make this a gentle transition. Help other people. Volunteer or work at an endeavor that allows you to help people. Homeschoolers are helpers by nature. How can you support other homeschoolers? What can you do to make it easier for the next mother who is stressed out about homeschooling? Give yourself away in new ways, too! I began volunteering regularly at our local clothing bank. It’s a wonderful feeling to do something so concrete and physical that will help people and this is the reason The HomeScholar was born all those years ago. There is nothing that can take your mind away from your own problems more than helping people with even bigger troubles! When I was homeschooling, I had to say “No” to fun things. I had kids at home, had to get dinner on the table, and there were 13 soccer practices to attend each week! When the kids are gone, now is your time to say “YES!” to the fun things you have put off! My husband and I started singing in our church choir. Evening practices aren’t a hassle at all when you don’t have to find a babysitter! While you are homeschooling high school, list everything you wish you could do. Think back on the past few years. What would have been fun? Your turn is coming soon, so creating a bucket list makes sense. Make a list of activities or volunteer positions that sound like fun. List homeschool organizations you would like to help. If you had plenty of time, how would you like to serve your community and your church? After years of serving your family, soon it will be your time to serve others. After graduation, you also have time to take care of yourself. Do you have a box of photos and no time for scrapbooking? Or clutter around the house, with no time to organize? Think of all the great crafts you’ll have time for! And when you retire from homeschooling, you can take care of yourself and finally be able to exercise. Just think, you can take a walk and stop to smell the roses! You hear about the empty nest feeling when your children go to college. It’s true – and it’s probably unavoidable. But you can lessen the affects by being active in your church and community. Give yourself away. Soon it will be your turn to volunteer, serve, and have fun! Your turn is coming, and you can make the best of it! All parents have deep emotions when sending kids to college, not only homeschoolers. When you feel a tug on your heart, it’s not because you are a homeschool parent – it’s because you are a parent. 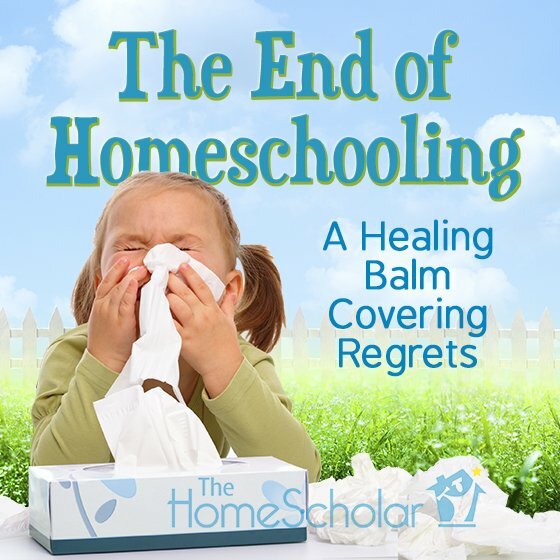 Your heart may hurt, but homeschooling can be a healing balm. Homeschooling high school can minimize regrets once your children are grown. With the ability to shape and mold character while educating, your children will have the best possible chance of success. Letting go can come with no regrets! As the latest wave of superinvolved parents delivers its children to college, institutions are building into the day, normally one of high emotion, activities meant to punctuate and speed the separation. It is part of an increasingly complex process, in the age of Skype and twice-daily texts home, in which colleges are urging “Velcro parents” to back off so students can develop independence. For example, “In order to separate doting parents from their freshman sons, Morehouse College in Atlanta has instituted a formal ‘Parting Ceremony.’” says the article. Super-involved, Velcro parents? This does not describe me. I worked hard to teach my children independence. I remember taking my own children to college. As a parent, saying goodbye was emotional. But mostly, I felt proud. When Kevin was married, I thought I would cry a lot. I came prepared with fancy hankies and packages of Kleenex, just to be safe. But, you know what? I wasn’t sad! I was happy. All day long, even during the ceremony, I didn’t cry at all. My husband didn’t cry either (another surprise). Our overwhelming emotion was joy. After four years of dating and four years of college, we had already said our goodbyes, moved him away from home, and had complete confidence in his choice of a spouse. All that was left was happiness. I did notice one thing, as I said my goodbyes at college. I had no regrets. I knew without a doubt they were academically prepared. I knew they were prepared for any assault on their worldview. I knew that I had shaped and molded their character and behaviors to the best of my ability. Their life was now up to them. In 2017, the average cost to hire a college coach was between $4000 and $6000. Most homeschoolers don't have this kind of money. There is no reason that you shouldn't have access to the kind of college admission and scholarship training and support that will enable your homeschooler to achieve their dreams, though. This is where the College Launch Solution comes in. 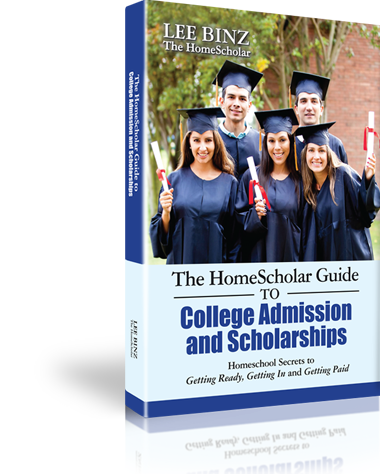 It will teach you everything you need to position your high school student to receive the best admission and scholarship awards possible. 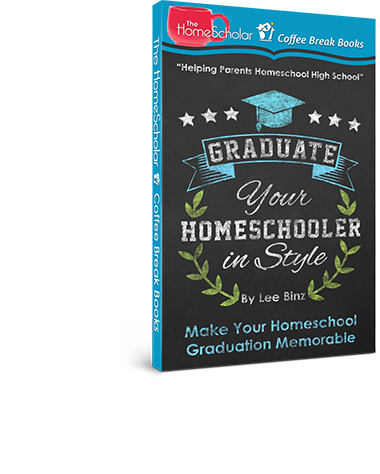 You will get college and career training and support from Lee Binz, The HomeScholar, who has been helping parents launch their children on to college and career success for over a decade. All this for a homeschool friendly price! You’ve worked hard homeschooling your child, and now you’re near the goal line...graduation. The road to graduation takes planning and forethought, not just for the culminating celebration, but also to ensure your child has accomplished everything you want them to before leaving the nest. What does a homeschool graduation look like? How can parents commemorate this momentous event in the life of a child and family? 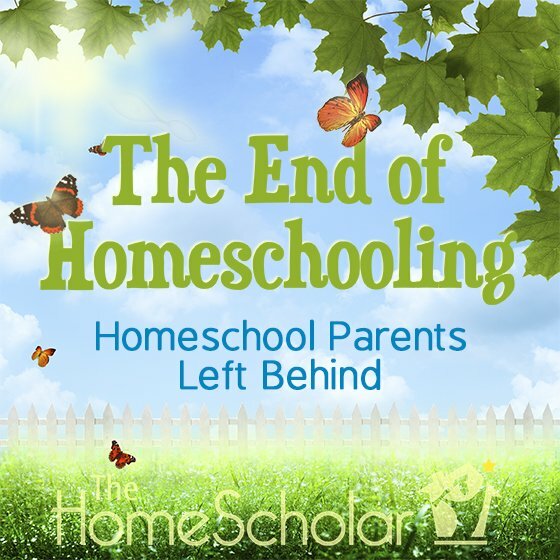 What do you do when homeschooling is over? Copyright © 2018 The HomeScholar LLC, www.HomeHighSchoolHelp.com. Text may be reprinted without permission if used in full, except for use in a book or other publication for rent or for sale. Reprint must include this copyright, bio (below), and the original URL link - https://www.homehighschoolhelp.com/end-of-homeschooling.